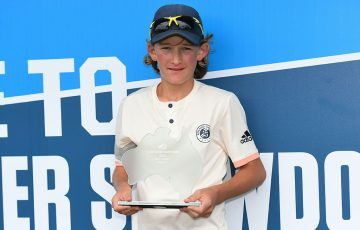 With dark cloud cover and on-and-off rain threatening play on several occasions throughout the course of the day, the quarterfinals of the Optus 12s Australian Championships got underway. Wednesday’s fierce morning wind no doubt posed its own challenges for the 12/U players as the boys hit off at 9 am to secure a position in the semifinals. Top seed Macsen Sisam began on court 7 against a determined Greg Polmans. Foreseeing a challenging match against the No.1 seed, Polmans strategically played to Sisam’s backhand, pushing him to the far left-hand side of the court to set up the opportunity to put away some deep, crosscourt forehand winners. 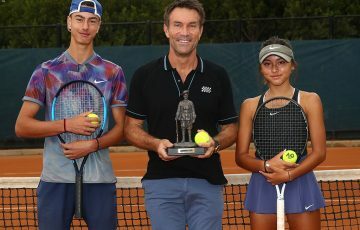 Despite solid resistance from Polmans who managed to break the top seed in the first set, Sisam’s precisley angled, signature crosscourt forehand proved too good for the eleventh seed, leading Sisam to a 6-3 6-1 victory. Second seed Finn Reynolds also prevailed in his quarterfinal match after withstanding an early challenge from his eighth-seeded opponent, Codey Gunn. Reynolds’ overall more accurate play saw him through to secure the match in three sets 4-6 6-3 6-4. 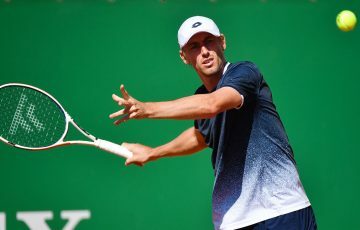 Out on court nine was the showdown marathon between third seed Alexander Crnokrak and Rinky Hijikata, which drew the attention of a good-sized crowd despite the unpleasant, periodic rain delays. 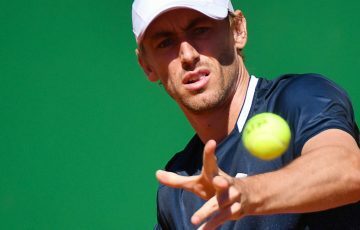 Crnokrak found his rhythm early, appearing to approach the ball in slow motion in an attempt to conceal his plans for the ball’s path before launching an aggressive, deep forehand winner. 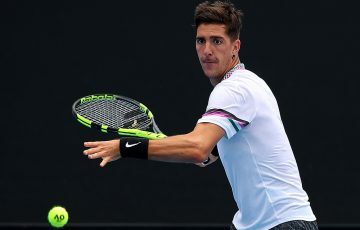 Hijikata delivered significantly stronger service games during his stellar second set and deflected the third seed’s hurling forehands to steam ahead to a 4-0 lead, following through to claim the set 6-3. With each of the boys having secured a set, neither player was ready to give into defeat and refused to allow the rain delays to affect their play. But it was Crnokrak who finally broke ahead to close out the match in three lengthy sets 6-2 3-6 6-3, using his height advantage when possible to deliver deep lobs that often bounced just out of Hijikata’s reach. 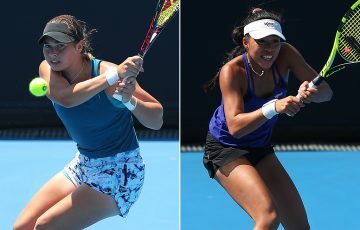 Later on in the morning, in between intervals of light rain, top seed Jeanette Lin began her quarterfinal contest with ninth seed Valentina Ivanov. 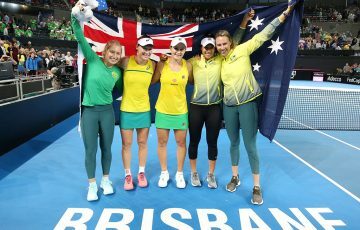 While Lin warmed up into her usual aggressive game, Ivanov made use of the first seed’s early nerves, exhibiting powerful ground strokes, making the most of each opportunity presented to put away quick points with a drop shot volley. 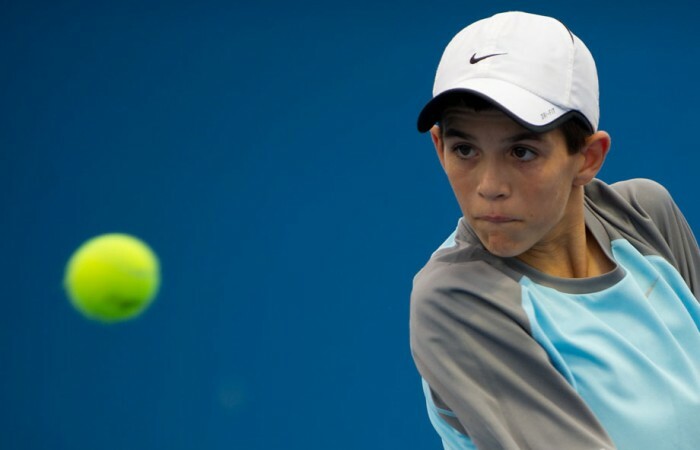 View the full results of the Optus 12s Australian Championships quarterfinals here.